The District shall provide a program that establishes honors and awards for outstanding student efforts and achievements. Students shall be made aware of honors and awards and the actions and qualities necessary to earn them. Qualifications for such honors and awards shall be established by the Superintendent. The Superintendent may require that a student be regularly enrolled in the District to qualify for an award or honor. 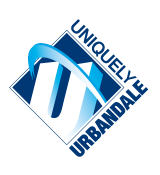 A student who is dually enrolled in the District and in competent private instruction, or who has not been enrolled in an accredited school, or who has not been enrolled in the Urbandale District for a specified period of time may be disqualified from an award or honor. To be eligible at graduation for awards, a high school student must be regularly enrolled in the District for four consecutive semesters during the junior and senior years.